I used a strip of daffodil delight satin ribbon and the scallop edge border punch. 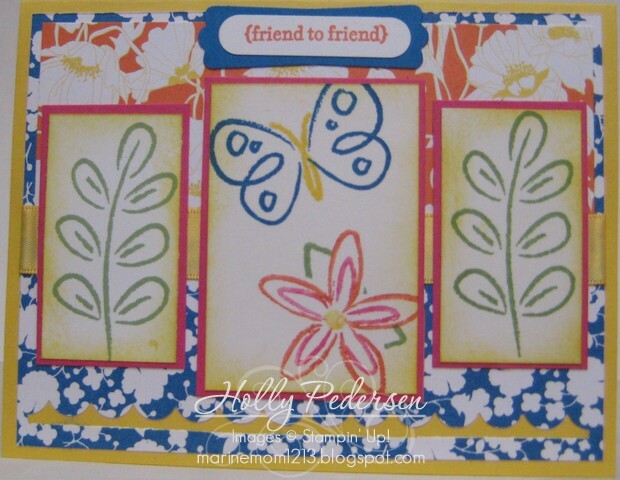 The greeting is from teeny tiny wishes and punched with the word window punch and layered on pacific point punched with the modern label punch. 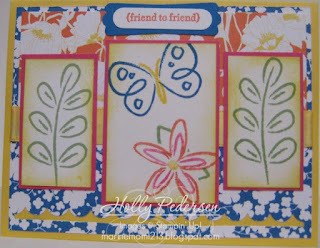 Very fun use of that stamp set and the colors with this sketch! Love this! It's fun and fabulous!